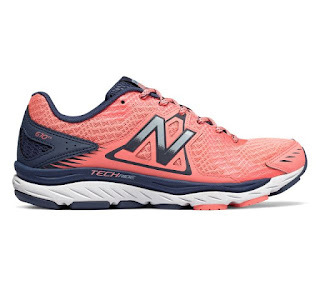 Today only you can get this New Balance Women's 670v5 Running Trainer Shoe for ONLY $34.99 (Retail $79.99)! Built and updated with breakthrough performance technology, the women's 670v5 sneaker features the engineering you've come to expect from New Balance and modern style that makes you proud to run in it. Exceptional cushioning and durability offered by ABZORB impact-reducing midsole cushioning, ACTEVA LITE compression foam, and a stabilizing medial post. Meanwhile, a lightweight mesh upper breathes without weighing you down to help this shoe come in first place.